Norwegian Bliss which is currently Norwegian Cruise Line’s newest ship is on her way to Miami, Florida to begin her new Winter season sailing Caribbean cruises. 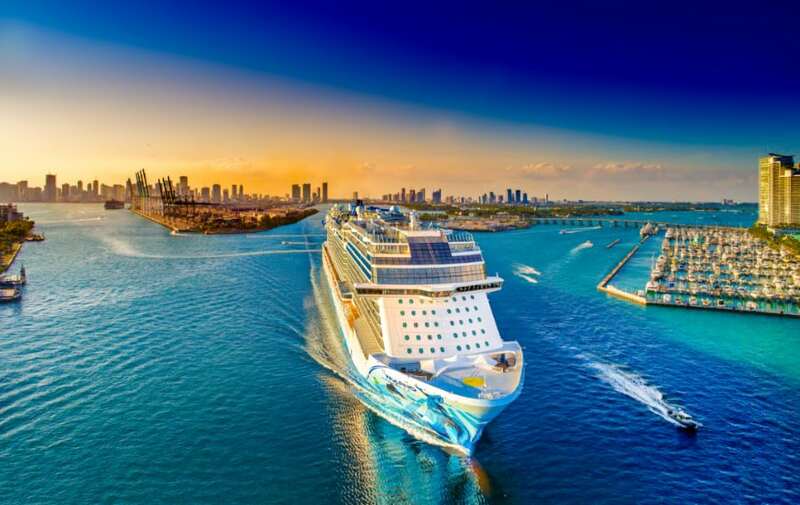 The newest Norwegian cruise ship is on her way to PortMiami to begin a new winter season offering Eastern Caribbean cruises. The Breakaway-plus class vessel has completed her inaugural season on the U.S. west coast. The ship was sailing cruises to Alaska based out of Seattle, Washington and sailing the Mexican Riviera from Los Angeles, California. Norwegian Bliss also had cruises traversing through the Panama Canal from both the Pacific and Atlantic oceans. 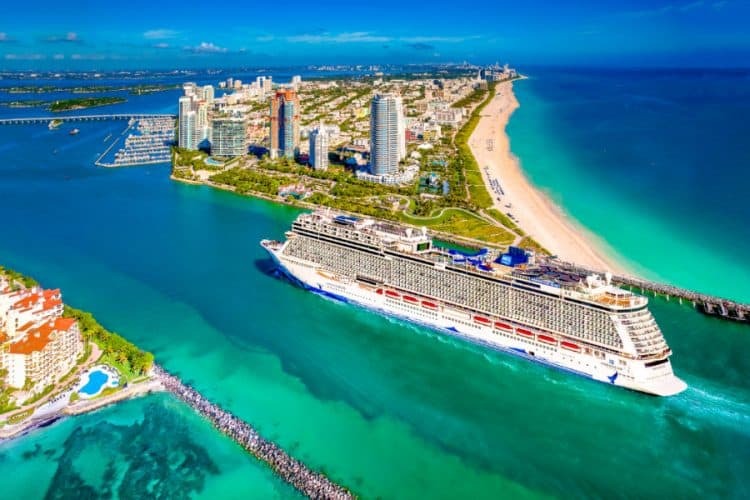 Starting on November 17, 2018 which is when the ship arrives in Miami, Florida she will offer week-long eastern Caribbean cruises. Norwegian Bliss will call at St. Thomas, US Virgin Islands; Tortola, British Virgin Islands; and Nassau, Bahamas through Mar. 30, 2019. In April, she’ll cross the Panama Canal, returning to Los Angeles for select sailings to the Mexican Riviera before moving to Seattle to meet her sister ship, Norwegian Joy, who will make her U.S. debut on Apr. 25, 2019. Norwegian Bliss made her U.S. debut on May 3 in New York. The ship is 168,000 gross tons making her in the top 10 largest cruise ships int he world. She has a guest capacity of 4,000 at double occupancy.